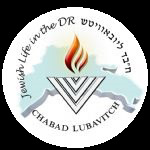 Chabad-Lubavitch of Dominican Republic is happy to provide you with all your Jewish needs and services to make your stay in the Dominican Republic more enjoyable. Note: Bait Chabad is located in Santo Domingo, about 30 minutes west of the Santo Domingo International Airport. Kosher food can be delivered to any location on the Island. About 10 minute walking from the Chabad House . Winston Churchill Avenue No. 93, Ensanche Piantini Santo Domingo. We do not charge our guests for services, meals or activities, however, we encourage you to contribute towards our activities. Your generous help will enable us to keep our home and Shul open and assist many more visitors in the future. We offer kosher food and Shabbos meals to locals and tourists from our catering service.. Taste our traditional Jewish delicacies with a gourmet touch. to ensure the best service possible. Local Shechita: From time to time, Rabbi Shimon Pelman Shechet offers frozen poultry on trays. Kosher products can be found at most domestic markets and at large supermarkets, such as Supermercado Nacional, Bravo or La Sirena. All basic kosher products can be found such as pasta sauces, ketchup, mayonnaise, snacks, etc. Other kosher products are available at the large supermarkets, but most likely will not be Cholov Yisroel, Pas Yisroel or Bishul Yisroel. La Romana – about 2 hours to the east. transport to/from the bus station and your final destination. A taxi cab driver can take you. (Do not take an unknown driver) We can recommend known taxi drivers if you wish. Always agree to a price in advance with the taxi driver. Weekdays Shacharit : 7:30am at the Chabad House. Note: Bait Chabad is located in the Piantini Sector of Santo Domingo, about 30 minutes west of the Santo Domingo International Airport.